Need a Bumper for a school bus? Because we reconditioned thousands of school buses over a 40-year period, we know the problems you face when trying to replace a front or rear bumper. Our database is filled with part numbers and information covering the parts you need. We can even furnish bumpers for buses built by companies that have long since gone out of business. 2. 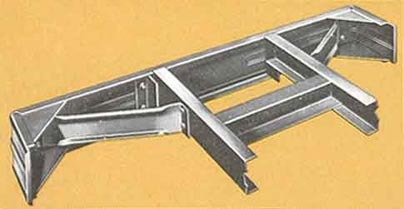 Bus chassis- IH, Ford, Freightliner, Vision, GMC, Chevrolet, etc. 5. 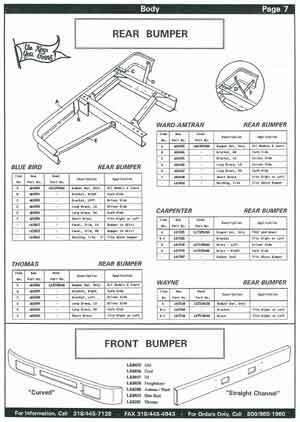 Bumper part description - where it's mounted, front or rear?